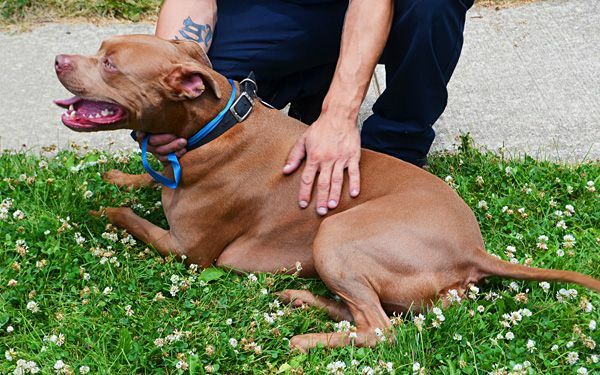 A pit bull named Ace is being hailed as a hero. The dog licked the face of a sleeping, deaf 13-year-old boy to alert him that the house was on fire. Indianapolis Fire Department Capt. Rita Reith says Nick Lamb was home alone. He was sleeping without his hearing aids. "My dog licked my face and woke me up," Lamb said. "I was like, 'Stop it! What? You want to be fed?' I thought he wanted to be fed or go outside." Ace didn't stop licking Nick until the teen got up. That's when Nick realized the house was full of smoke. He covered his nose and mouth with his T-shirt darted out the back door. Lindsay Bernard, Lamb's mother, credited Ace with saving her son. "It's amazing, because if he wouldn't have been there, he probably wouldn't have even woke up," Bernard said. Lamb, who was born deaf, told firefighters that this was the first summer he was old enough to stay home alone. He had returned from summer camp just three days earlier. Critical thinking challenge: If Nick couldn't hear Ace barking, why didn't Ace bark louder? I am so proud of this dog. I mean, the dog SAVED a human being! I love this dog so much. Dogs are amazing, and this story really proves what strong bond we have with our pets, and dogs, even any animal, is smart and has a special relationship with their owner, that can NEVER be replaced, only one that can get stronger. It is amazing that Ace had saved his owner while he was sleeping. Maybe if I had a dog like that I would thank him or her. I am amazed that a dog was licking his owner to save him from the fire. My brother would like to have a dog which saves him from the fire because he likes dogs and he also like dogs who saves him. Would you like a dog which saves you from a house fire? 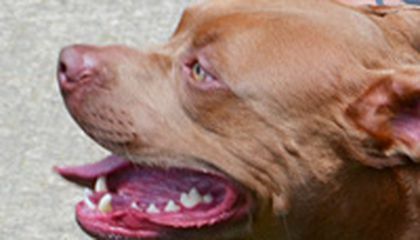 Summary: Ace is a pit bull considered, nowadays, a hero. He saved a deaf 13-year-old boy, Nick, who was sleeping while his house was getting on fire. The dog licked the boy's face in order to alert him of the fire. After many attempts, the boy woke up and saw his house full of smoke, therefore, he covered his nose and mouth and went out the house. Comment: I think the boy's parents were somehow irresponsible leaving their child alone at home knowing he was deaf. Thanks God Ace, the dog, was there and could wake up the child, saving him of a terrible death. Ace is the name of the dog that saved the life of a deaf kid. The kid, whose name is Lamb, was sleeping and he was alone at his house, so the dog licked him because it was the only way of waking him up. This is one of those wonderful stories that again teach us that animals are incredible and are smarter than we think. It is something that can happen to any of us but we don't appreciate the value of animals until we face an awesome experience as this one with Lamb and his dog, Ace. A dog called Ace saved a 13 years old deaf boy by licking his face. The boy called Nick was sleeping when the fire started, so the dog licked the boys face in order to wake him up; Nick thought the dog was hungry and wanted to be fed, but after Ace insistence, Nick got up and realize the house was full of smoke. So he covered his nose and mouth with his t-shirt, and left the house by the back door. Nicks mother said that Ace saved her son. This dog is a hero! And clever! Most people think that this breed is really dangerous but, this one dog is not. Ace shows us that no matter what is going on; it will stand there, and protect his owners life, even if it has to risk its own life while trying to save him. I think that this do is very heroic. Because if not the dog and the boy would've eventually died in that house. Lamb should have had his hearing aids in so that he would've been more alert about the whole situation itself. That is so brave of that dog! And he truly is a hero! And that's awesome that he helped the boy and if he didn't that would be horrible! But good thing he did help him! That dog must be very smart also. Good job Ace! Im not a big dog fan but this dog is not just a dog its a hero dog. He saved a deaf boy from being burned. If they never had the dog he would be dead. The dog is a hero!